At the end of April, the arrival of migrant Blackcaps is marked by their beautiful fluty song. Males arrive a few days earlier than females and settle in their breeding territories. I heard the first one in the park on the 19th of April. 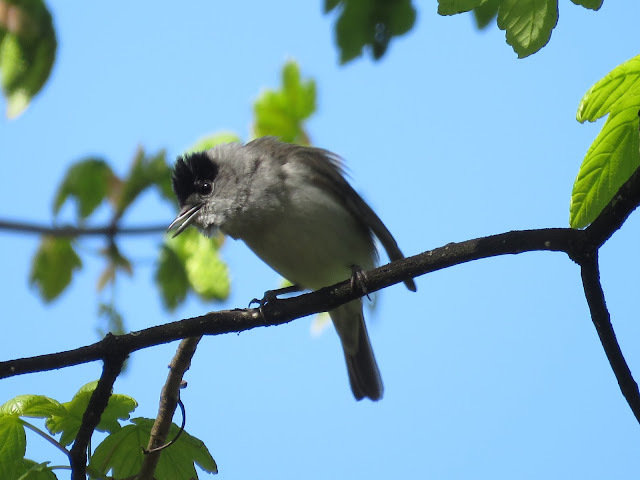 Blackcaps usually sing from cover in trees and bushes, and the rapidly sprouting leaves will make it more difficult to spot them singing as the spring avances. 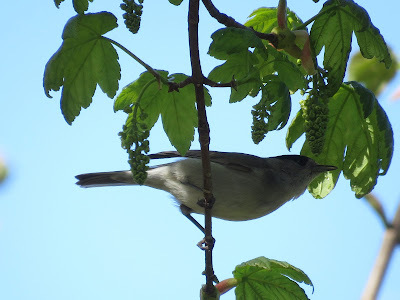 Today I found a female in the territory where the male had been singing. 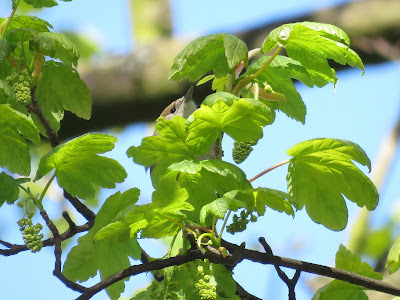 She was very busy in a tall Sycamore tree, Acer pseudoplatanus, picking aphids from under the leaves, stretching and balancing on the fine branches. 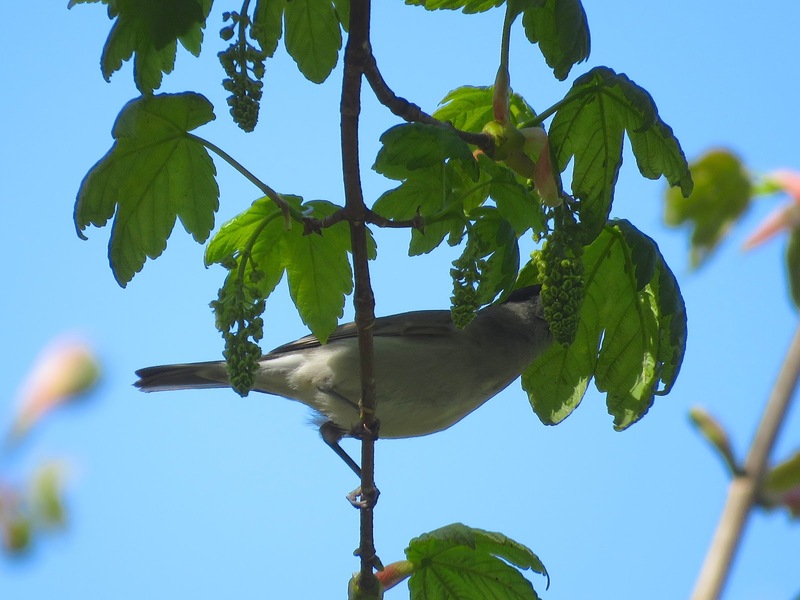 The male wasn't far, singing and feeding on aphids like her. ...a few seconds later they are gone. A short clip of the male feeding.